ethnic, and traditional music as well as other happenings in the Northwest. Discounts on admissions to all concerts produced by the Society. One ticket discount for Individual/Student/Senior membership per concert. For Household memberships you receive two adult discounts. For an additional $5.00 per adult you receive additional ticket discounts also. Reciprocal privileges with a variety of other folk organizations. 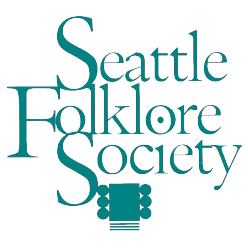 The mission of the Seattle Folklore Society is to preserve and foster awareness and appreciation of traditional and folk arts through education, outreach, publication and performance. When you become a member of the Society, you help to make the mission become a reality for all of us. Your annual membership dues provide just enough money to publish and mail the Flyer each month. Over the years, SFS has worked hard to keep the overall cost of the Flyer low and SFS has not raised its membership rates in many years. The Flyer is a key piece to making our mission real every month by letting you know about the SFS activities that go on including SFS sponsored concerts, other folk related concerts happening in and around the Seattle area, the weekly dance events and the weekly Song Circle. The Flyer also provides a monthly calendar listing and provides a place for SFS members to advertise items for sale or other various activities in our unclassified section. But beyond all of this, your membership keeps SFS going year after year – the Society is now over 50 years old! During these years, SFS has helped many musicians present their art through supporting concerts and dances, music camps and other activities. Many of you have enjoyed these performances, sang many of song through the years at Song Circle or participated in the camps.